The brewer, well known for taking an innovative approach to marketing over its 150-year history, has designed a creative measuring scale that staff are being taught how to use. By doing so, Heineken hopes to break down any resistance to discussing creativity and help improve its work. Heineken has been rewarded for its efforts at this year’s Cannes Lions festival, becoming only the second company to twice be awarded the top honour for a client — Creative Marketer of the Year. The Lions Festivals chief executive, Philip Thomas, says Heineken "has consistently proved it is creatively brave and that it understands and believes in creativity as a business driver." 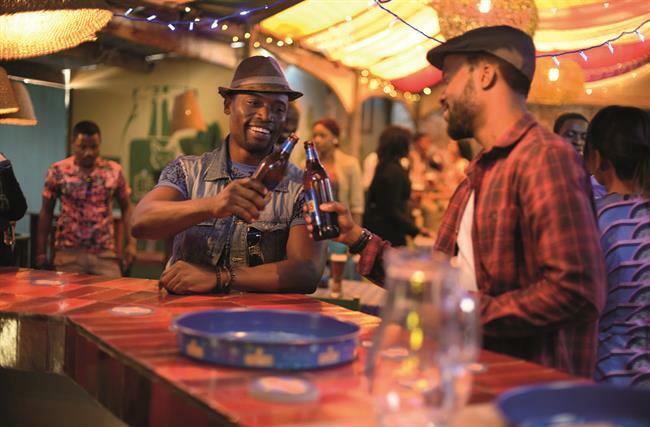 Heineken realised that to make its work "even better," it needed to make staff feel comfortable talking about creativity. "People have different interpretations of what it is," Hagh says. "There can be misunderstanding and people shy away from discussions around it." To counter this, the company has introduced a common language around creativity to make people more willing to debate it. It has also designed a "creative ladder" that categorizes campaigns on different rungs. A campaign that is on the first rung actively harms a brand. One on Level Four just replicates the advertising norms of the category. And work that reaches Level 10 "is so brilliant, it will be remembered when we’re all dead." All of Heineken’s campaigns must be at least at Level Five, which means activity that is unique, differentiating and could only have come from its brands. This is being taught to employees and agency partners around the world. It supplements an existing program that enrols executives on a mandatory training program in sales and marketing. Their performance on the course is linked to promotions. Creativity will become a criterion in the company’s recruitment programs. #Sharethesofa was the first weekly football program created specifically for the second screen. Viewers could tune into and interact with the show (which had Heineken branding) while watching a live match. It was hosted by footballers including Ruud van Nistelrooy, Owen Hargreaves and Hernan Crespo. Tecate released a series of amusing ads ahead of the World Cup. They showed men acting romantically toward women, but only to watch the football. In one spot, a man tells his date he shouldn’t go back to her apartment because he wants them to have a long-term relationship, but what he is really concerned about is missing the match. To promote the Kiwi beer brand Tui, Heineken set up a cricket competition called "Catch a Million." Entrants had to wear a Tui-branded T-shirt and lanyard, and try to catch a ball that had gone for six one-handed, live on TV. Those who succeeded won 100,000 New Zealand dollars. As a result, Tui beer sales reached a two-year high.